Google Allo could be stepping up its game with its upcoming version soon. The instant messaging app is taking a cue from bitter rival, Facebook Messenger, which added a key feature in March 2017, "Reactions". Messenger added the ability for users to react to individual messages along with @notifications. And now Allo has followed suit, adding a similar reactions system to its mobile-only app. According to Amit Fulay, who heads Allo and Duo, this is what the Allo reactions can do. You can tap the heart on a message in Allo to show that you like the message, and that's about it. We haven’t been able to test it out yet. It is now nine months since the instant messaging service was introduced, and Allo has not been doing as well as we originally expected it to. Duo on the other hand just hit 100 million downloads on Android, after hitting 50M downloads in May, proving that it is becoming quite popular. But things could improve quickly, as Allo is allegedly preparing to release a desktop version. 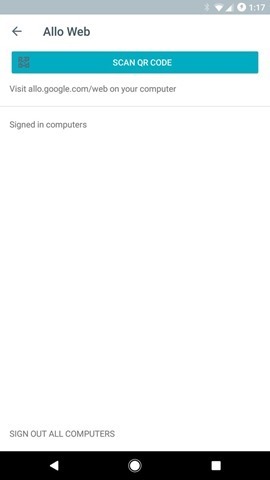 A Twitter user who claims he has Allo version 14, says that users will be able to use Allo from browsers, by visiting https://allo.google.com/web, and scanning a QR Code using the Allo app on their phone to authenticate it. That URL doesn’t work right now, as the version has not been released yet, but it should be available soon. Okay, this is undeniably the same as WhatsApp Web, which is incredibly popular. So, if Allo can do it better, thanks to Google Assistant, it would be great. But WhatsApp has voice calls and video calls, and you need to install another app, Google Duo to achieve the same, so yeah that could be a hindrance. And there is no word yet about a proper desktop application for Allo. 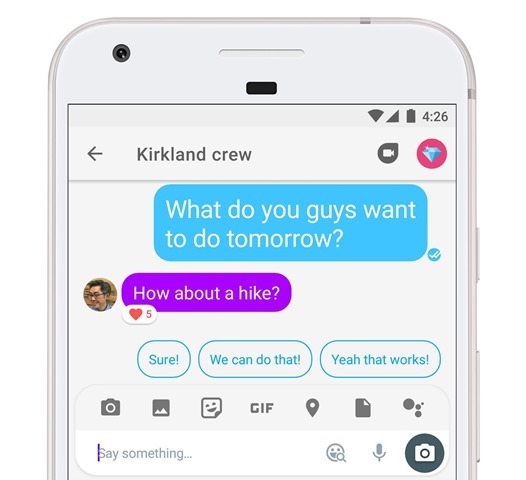 But with Facebook’s recent decision to add advertisements in its Messenger app, Allo has another market to tap into. Google Allo web version coming soon. Is it too late though?